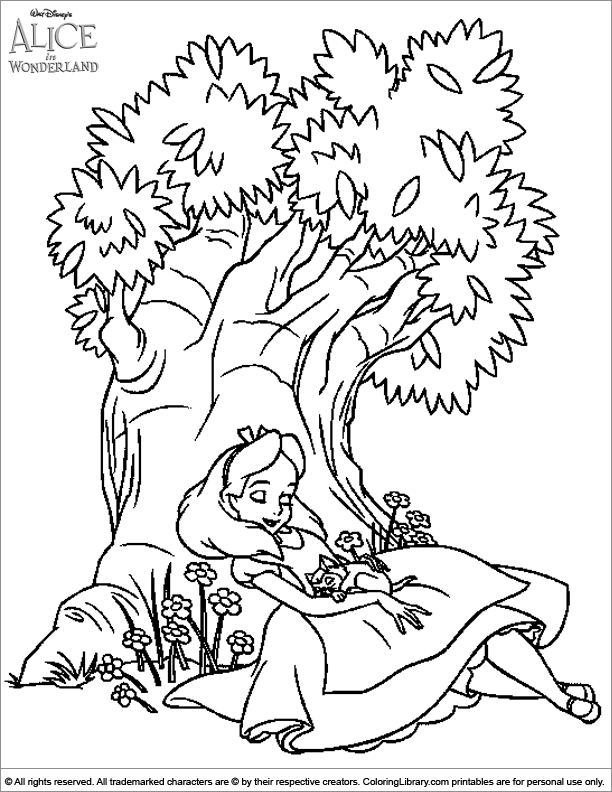 Color this Alice in Wonderland free printable coloring page and use your creativity. If you like these coloring pictures your friends probably do too, ask them to come join you with coloring. Print a whole bunch of these great coloring sheets and use them at birthday parties, play dates, or on a rainy day. You can also join your kids in the coloring fun and color Alice in Wonderland together.